All those who have participated in the Haspa Marathon Hamburg have been well impressed by the beauty of the highly varied 42.195 kilometre route through Hamburg’s diverse districts. In April, more than 15,000 athletes from 80 countries take to the route of this classic sporting event in Hamburg, and public support is guaranteed in full. An equally impressive route awaits running, swimming and cycling participants of the ITU World Triathlon Hamburg. Taking place in July against the beautiful backdrop of Hamburg’s city centre and the Inner Alster Lake, the event is open to both amateurs and professional athletes. The Hamburg Cyclassics in August is Europe’s largest bicycle race for professional and amateur cyclists, drawing more than 800,000 spectators each year. About 20,000 participants usually sign up for the amateur races, with varied routes of 60, 100 and 160 kilometres. 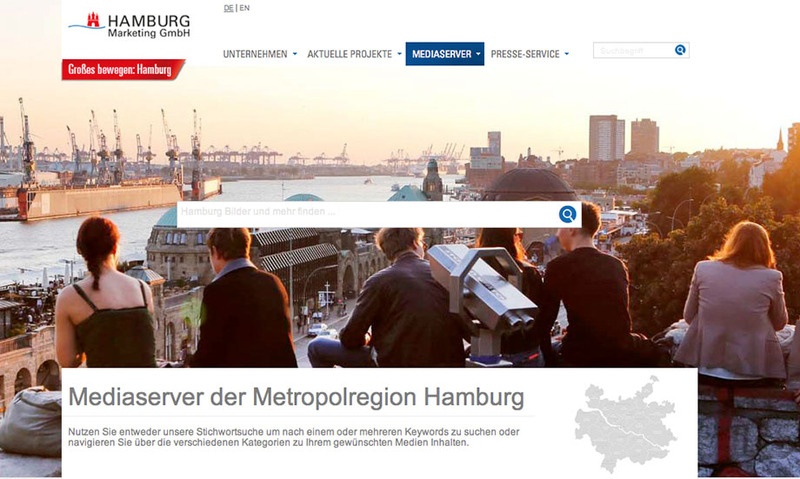 For four days in May, the port of Hamburg every year turns the world upside down: around 1.5 million people will celebrate the port anniversary on an area of almost 4 kilometres along the banks of the Elbe between the HafenCity district and the Oevelgönne harbour museum. Hamburg’s port festival is the world’s biggest port festival. Highlights include the opening parade on Friday, the closing parade on Sunday, the traditional tugboat ballet, as well as a colourful programme on water and on shore – such as the spectacular fireworks display on Saturday night. To make sure that nobody goes through the weekend without food or drink, countless stalls along the Elbe banks will be offering exotic drinks, beer and wine, as well as fish rolls, grilled sausage and Asian specialties. Since 1975, the Hamburg Ballet Days have been renowned far beyond the city boundaries and are both the brilliant highlight and the official closing event of each ballet season. Over a period of three weeks, several classic pieces will be performed. Ever since 1997, Hamburg’s Schlagermove event has magically drawn hundreds of thousands of mostly young people. Following the example of the former Love Parade in Berlin, more than 40 decorated trucks parade through the St Pauli district and along the banks of the River Elbe to the sound of catchy Schlager tunes. Many of the Schlagermove crowds dress up in 1970s clothing – so expect flared trousers, shiny attire, extra-large sun glasses and daring wigs. The party goes on post-parade until the early morning hours – at the Heiligengeistfeld, but also in countless other venues across the city. The Schlagermove is the biggest event of its kind. Every two years the Hamburg Cruise Days offer a varied programme of events that attract not only cruise liner enthusiasts, but also countless other guests. 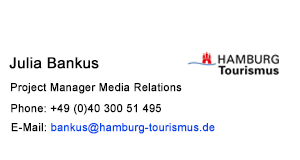 The stars of the Cruise Days are of course the fascinating cruise ships that are visiting the port of Hamburg. But the world of cruise lining can also be experienced on land, with various themed islands along the banks of the River Elbe. Expect culinary delights at the wine lounge, curiosities at the maritime market, and yoga classes at the spa & sports area – to name but a few. Highlights on the water include the grand Hamburg Cruise Days parade on Saturday night, where the majestic cruise ships will make their way down the Elbe, escorted by a fleet of ships. When nights are still mild and yet getting longer, residents and guests alike enjoy the Hamburg Theatre Night, taking place each year in September. With a ticket covering bus, train and Alster barge fares, you can embark on a fascinating journey through countless theatre, opera, ballet, cabaret and comedy performances. All those who can retain their energy until the early morning hours can enjoy a drink or two in the legendary St Pauli district, where the long theatre night ends with a big party. With three state-owned theatres and more than 40 private theatres, Hamburg’s cultural landscape spans all segments of theatre. The Thalia Theater, Hamburg’s oldest theatre, is regarded as one of the finest and most versatile of Germany’s state theatres of the spoken word. The Thalia Theater’s repertoire comprises both traditional and modern classics with distinctive directorial signatures. In 2015, the entire cycle of the “Nibelungen” legend was staged under the baton of director Antú Romero Nunes, based on ancient sources and the works of Richard Wagner and Friedrich Hebbel. Innovative theatre, dance and performance projects are the trademark of the Kampnagel theatre. Located in a unique setting of converted industrial buildings, the former crane factory has established itself as one of the world's most important platforms for the performing arts. One of the highlights here is the annual International Summer Festival with its exciting mix of dance and theatre productions, concerts and talks. 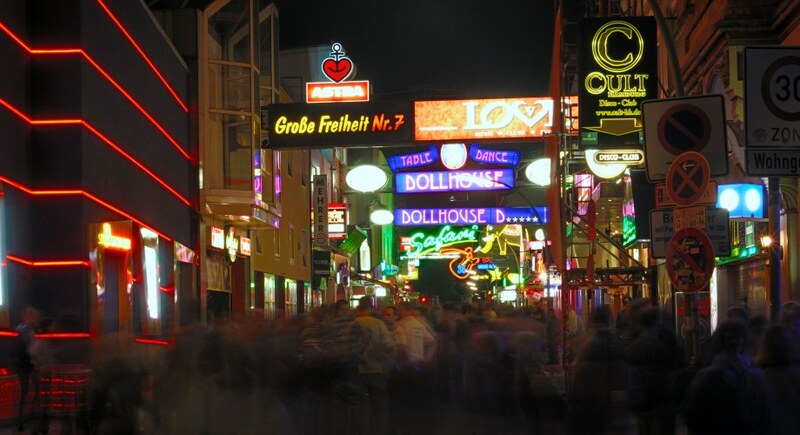 In September, Hamburg’s legendary Reeperbahn entertainment district in the heart of St Pauli is all about rock music. During the Reeperbahn Festival, the former red-light district of St Pauli goes wild with around 300 bands and solo artists performing at different venues. Alongside the main stage at Spielbudenplatz, more than 70 clubs, pubs and theatres across St Pauli will serve as venues for the festival. Over the last few years, less well-known bands and artists in particular have caused quite a sensation. All those who follow the Christmas star to Hamburg from mid-November will experience a feast for all senses – at Hamburg’s 16 main Christmas markets. Whether it is historic, maritime, arts and crafts, traditional or raunchy: you can be sure to find just the perfect Christmas market for your taste. And in fact it is not uncommon for local businesses to jointly end their day’s work with a glass of mulled wine at one of the city’s countless mulled wine booths. A very different type of Christmas market awaits you at the “Santa Pauli” Christmas market in St Pauli: instead of your traditional Father Christmas you will find angels and gnomes in daring dresses, and the gifts on offer here are rather … unconventional. Some of Hamburg’s Christmas markets are open until New Year’s Eve, giving you even more time to enjoy the festive season. Two of the largest and most beautiful exhibition spaces in Europe are based in the Deichtorhallen, two historic market halls in Hamburg’s city centre. With its open steel and glass architecture, the Deichtorhallen provide the perfect setting for spectacular, large-scale exhibitions from around the globe. Also worth mentioning is of course the Kunstmeile, an association of art institutions in Hamburg's city centre that includes not only the Deichtorhallen, but also the Kunstverein Hamburg, the Bucerius Kunst Forum, the Hamburger Kunsthalle and the Museum for Arts and Crafts Hamburg (MKG).